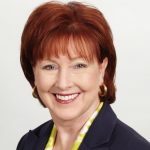 Diane Robinson is a Senior Operations Consultant in Health IT Transformation and Program Management. Diane joined McKesson in 1998 and providing resource and project management expertise on large scale strategic IT implementations projects . in 2014, Diane joined GE Healthcare as the Operations leader over Program and Project Management for the East United States.